With the starting of summer, women start looking for lawn dresses to bear the heat of harsh sun. 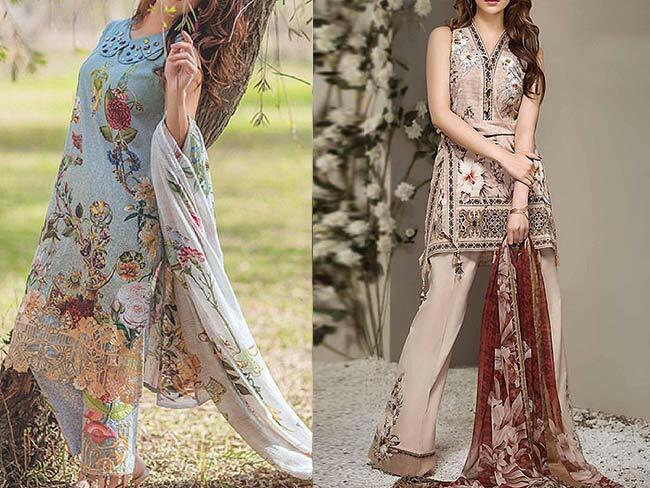 While there is some crazy expensive lawn dresses are available by designers, you can also get some very reasonable pieces which are not just budget friendly but also have beautiful designs and material which can compete the high end to some extent. While you are hesitant to wear those expensive and heavenly embroidered dresses, these less dresses give you more comfort. 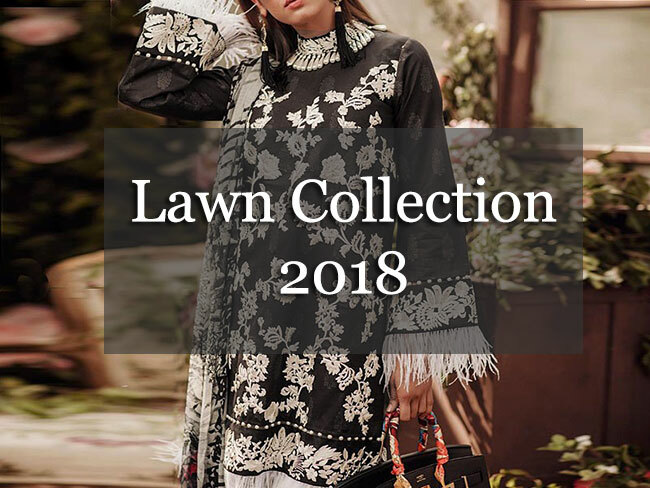 Today i am going to share Lawn collection 2018 with you. From last year net material is being used widely in casual and formal dresses and in lawn dresses, net dupatta also got place. I loved how beautifully designers included it in their collection. These dupattas have matching prints on them similar to shirts which have elegant touch. You can even find embroidered net dupattas for more formal look. Their material is also soft compared to other net available in market. If you are fan of net dupattas which are airy and comfortable to wear, you need to pick these dresses soon. Chiffon dupatta trend is still on as well which can never get old. Chiffon gives you the trendy edge which other material fails to accomplish. 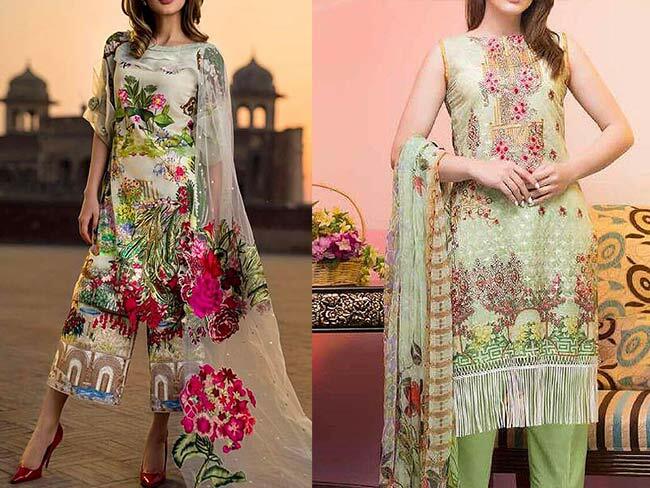 In lawn collection 2018, there are beautiful printed chiffon dupatta dresses are introduced. With light weight airy material, they are perfect combination with embroidered lawn dresses. I also liked the idea of embroidered patches on plain trousers. Simple patches can turn your dress into more formal dress and you can wear it on any occasion. If you want your lawn dresses free from embroidery and patches and also prefer lawn dupatta, there are options available for that as well. 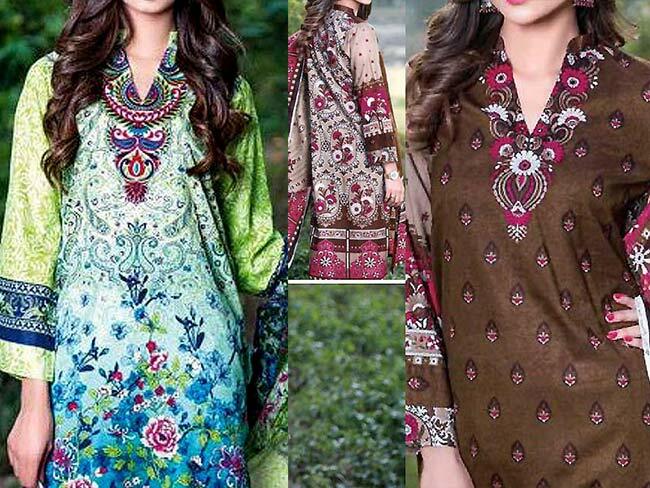 In Pakistani dresses classic lawn is loved by women for many years and for every day wear, their dresses are perfect which not only produce beautiful prints but also doesn't compromise on material.